4k00:11Amazing Phraya Nakhon cave in Khao Sam Roi Yot national park at Prachuap Khiri Khan Thailand is small temple in the sun rays in cave. 4k00:15Khuha Kharuehat Pavilion, built for King Chulalongkorn (Rama V) in Phraya Nakhon Cave, symbol of Prachuap Khiri Khan Province, Thailand. Panning shot. 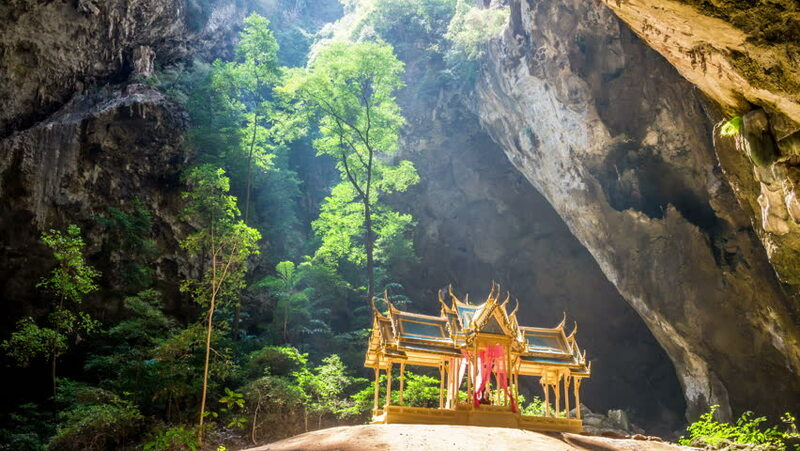 4k00:15Amazing Phraya Nakhon cave in Khao Sam Roi Yot national park at Prachuap Khiri Khan Thailand is small temple in the sun rays in cave. hd00:28Kuha Karuhas Pavilion, Nakhon Cave.Thailand. hd00:45Kuha Karuhas Pavilion, Phraya Nakhon cave, Prachuap Khiri Khan province, Hua Hin, Thailand. 4k00:09KUALA LUMPUR, MALAYSIA - MARCH 30, 2016: Time-lapse view of visitors pass by in the Batu Caves on February 15, 2016 in Kuala Lumpur, Malaysia.